O-H-I-O! Ohio is an aviator’s dream! 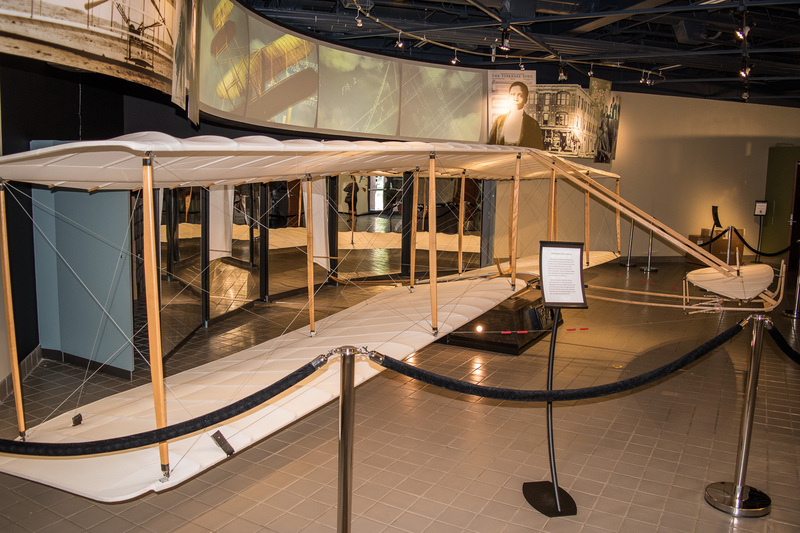 Home of the Wright brothers, and the National Air Force Museum – Steve made Ohio a required stop for us. 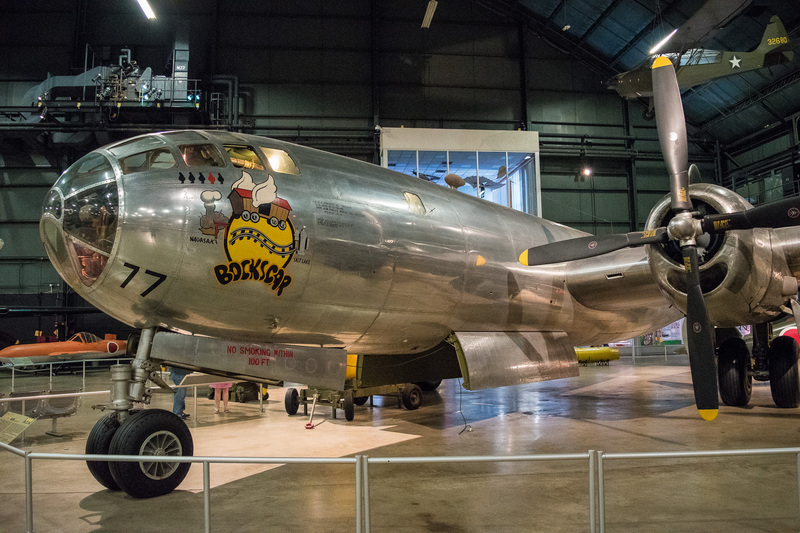 We enjoyed aviation history, American history, rock & roll history, and unexpected beauty. Oh Ohio – you surprised & delighted us. We spent four nights in Ohio. 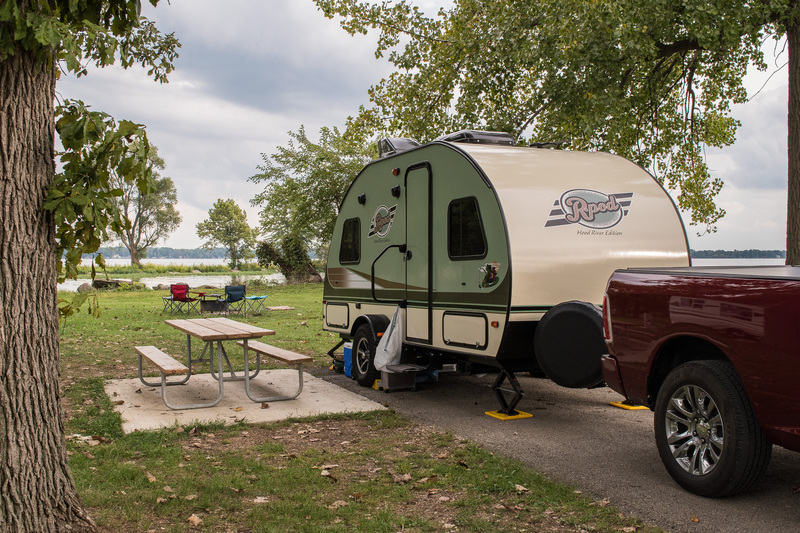 One night was at Indian Lake State Campground, and three nights at Findley State Campground. Both were well managed, clean, and offered quiet surroundings. Indian Lake reminded us of one of our favorites in the bay area – Del Valle Regional Park, with the exception that campgrounds are actually on the lake. In fact, they had campsites located next to boat docks. We found this campsite to be gorgeous. We were right on the lake and enjoyed the views it had to offer us. The campgrounds were relatively quiet (probably because of the time of year), and offered many amenities, including playgrounds, basketball courts, volleyball courts, beach, and a laundry facility. We made friends with a fellow camper, Floyd. He was born and raised in Ohio, a teacher and a farmer. He loved Ohio, chewing tobacco, and traveling. Location was perfect for us; it was an hour North of Dayton. If you are in Ohio, and enjoy camping, we highly recommend. Findley State Campground was located about an hour South of Cleveland, which served our needs well. This campground also has a lake, however, we didn’t see campsites on the lake. Our campsite was still nice, even without a lake view. Findley State Park had similar amenities as Indian Lake State Park, so we took advantage of a cheap laundry facility. The first night of camp, we were treated to the many howls of Coyotes nearby – beautiful and strikingly creepy. 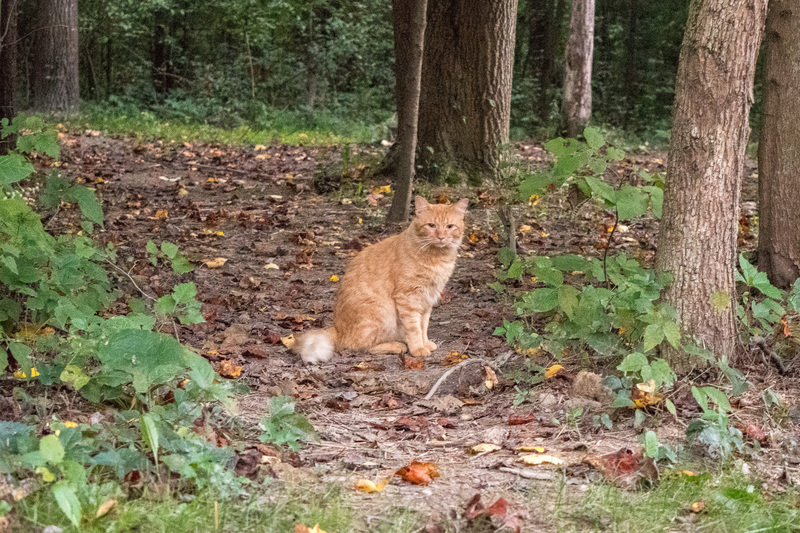 On our second night we had a visitor to our site, an orange marmalade cat! We named him “Tom” and he kept us company as we ate our dinner. During the night we were awoken to a sound of a thud outside of our trailer. Sparky was losing his mind and barking like crazy. Steve went outside to find a large raccoon had knocked over and opened Sparky’s food container and was eating Sparky’s food! Sparky was rightfully not happy, and I had to hold him back while Steve chased off this big fella. As Steve was picking up the loose dog food from the ground, Biggie, the raccoon, watched from the sidelines, and kept creeping forward. Steve had to chase him off again. Where was Tom the cat to help us!? Needless to say, it was a rough night of sleep for us, as Sparky couldn’t seem to settle down easily. On our last night, Tom, joined us again for dinner, and brought a friend, a black cat (no picture). No signs from our nemesis, Biggie. While we were cooking dinner, we had a visit from Floyd & his wife, Rose! 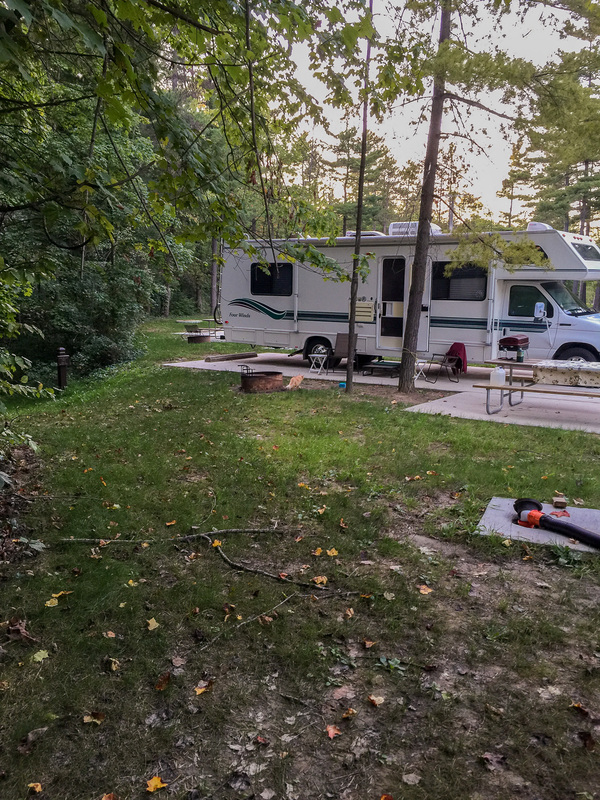 They left Indian Lake after we did and were now camping at Findley – small world! We enjoyed talking with them for over an hour. One thing we noticed at the Ohio state parks was that there weren’t any employees manning the entrance kiosk. We figured out at Indian Lake that we needed to go to the park camp store. There a camp host was manning the counter and checked us in. At Findley, the camp store was closed by the time we arrived and remained closed the 4 days we were there. We had reserved and paid ahead of time for both our sites, but for people just showing up it was on the honors system. We suspect this interesting procedure was due to us camping during the week and in off-peak season. 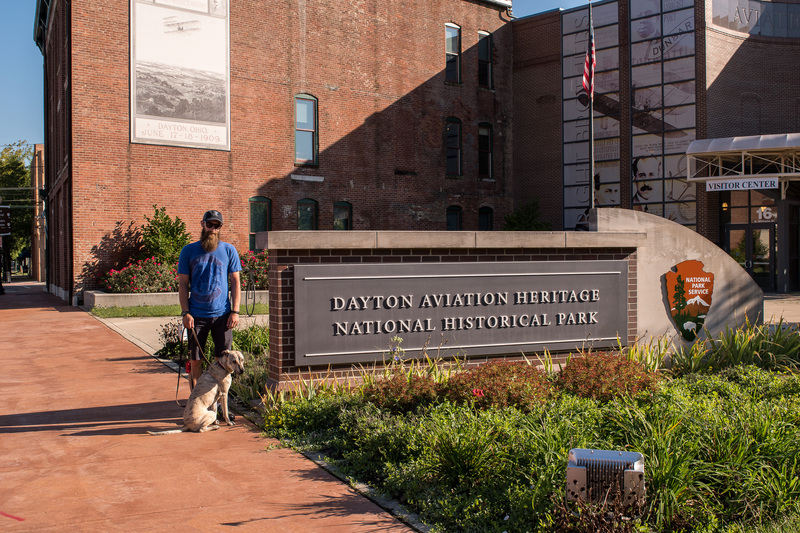 Our first stop in Ohio was the Wright-Dunbar Interpretive Center in Dayton, Ohio. This National Historic Park is home to two milestones: Wright Brothers Cycling & Printing Shop and Paul Laurence Dunbar museum. We enjoyed walking through the visitor center, and learning about three of America’s fascinating figures. Paul Laurence Dunbar was a talented Poet. Dunbar was the first African American to become an international celebrity for his writing. His writings were especially popular in England. Dunbar, a Dayton native, was Editor of his High School newspaper, and President of his school’s Literacy Society. Because of his race, he was denied early success, and worked as an elevator operator, until he was able to get his work published in 1892. He died at 33 due to Tuberculosis, but his writings continue to make impact today. In this museum you could view original writings, and family artifacts. You might be asking yourself, why would they put Dunbar’s museum with the Wright Brothers, how are they related? We asked ourselves that several times during our tour. Dunbar was in the same high school class as the younger Wright brother, Orville, where they became friends. In fact, Orville and Wilbur Wright used their Print shop to print Dunbar’s short-lived newspaper, The Dayton Tattler, and the tickets and advertisements for his poetry readings. The Wright Brothers born and raised in Dayton, started their Print Shop in High School. They both found a love of bicycling, and soon opened a bike shop. 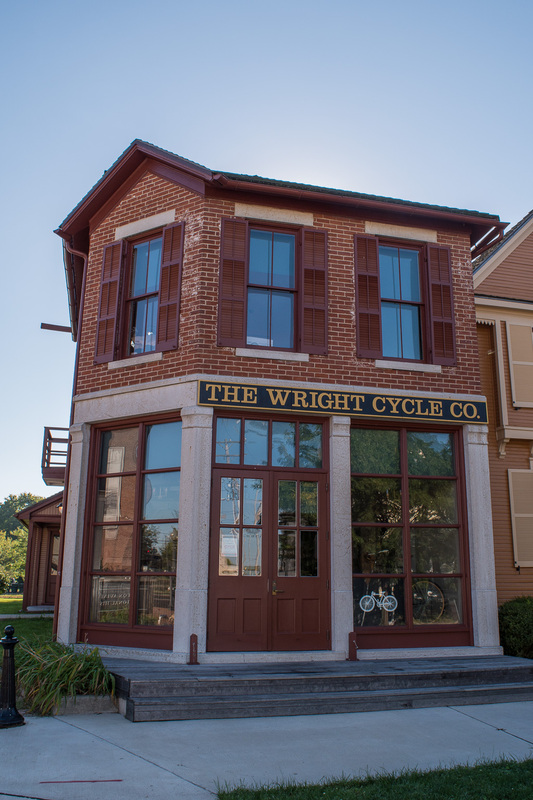 By 1896, Dayton residents were riding bicycles with improved brakes, by the Wright brothers. The Wright Brothers curiosity led them to dream of flying. They spent hours in the park, flying kites, watching birds, and studying how their wings moved. The brothers tested, tinkered, and built gliders, using the knowledge they had from building bikes. By 1900 they finally were ready to test. Triumph didn’t happen quickly, many tests, models, re-tinkering, and retesting had to happen before they got the Kitty Hawk to fly 12 seconds with Orville in 1903 in North Carolina. By 1905 they were able to fly for 39 minutes, basically until they ran out of fuel. The Wright brothers were celebrities in Dayton, incorporating the Wright Company, opening a factory and a flight school. We enjoyed looking through the Wright family artifacts, which included their original printing gear from their print shop. Once we were finished with the Wright-Dunbar Center, we moved on to Wright-Patterson Air Force Base, home of the National Museum of the United States Air Force. We had Sparky with us, so I suggested Steve go inside while Sparky and I enjoy the planes outside. I will put this out there – we did not plan accordingly here. 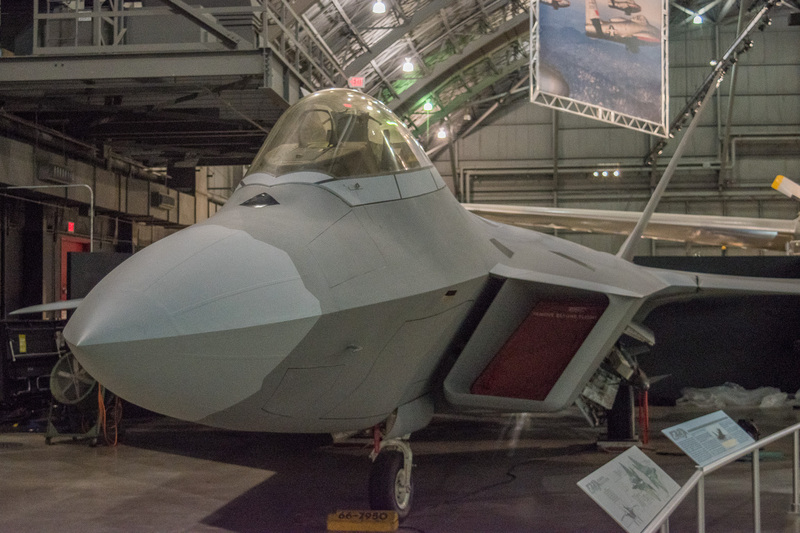 We both have been to the Air & Space Smithsonian in Washington DC, and the one at the Dulles International Airport, we expected that we have seen mostly every type of American Military plane – we were wrong. Don’t make our mistake. You can easily spend a full day here and not see everything. This museum is at least twice the size of the Dulles Smithsonian. It is ½ mile from the entrance to the furthest of the four display hangars. 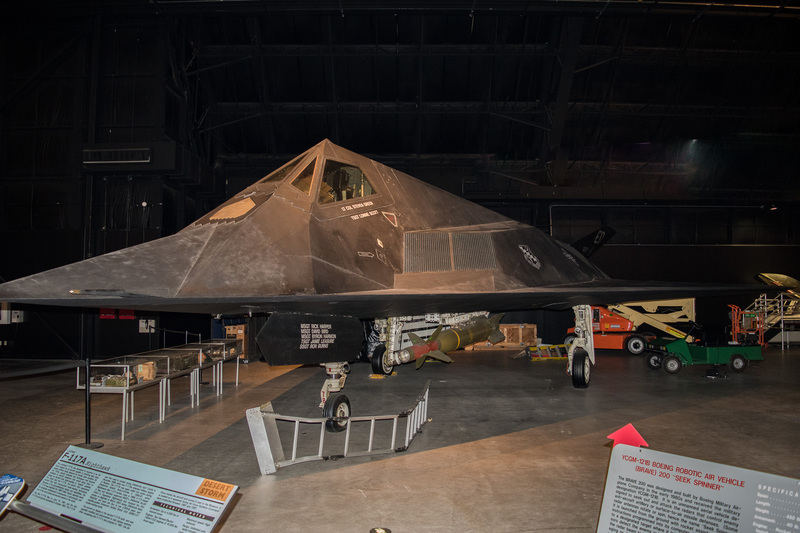 Each one is full of amazing Air Force planes divided up by era, including, the Air Force One Lyndon Johnson was sworn in on, B2 Stealth bomber, SR71 Blackbird, F-117 Nighthawk, F-22 Raptor, B-38, and many more. 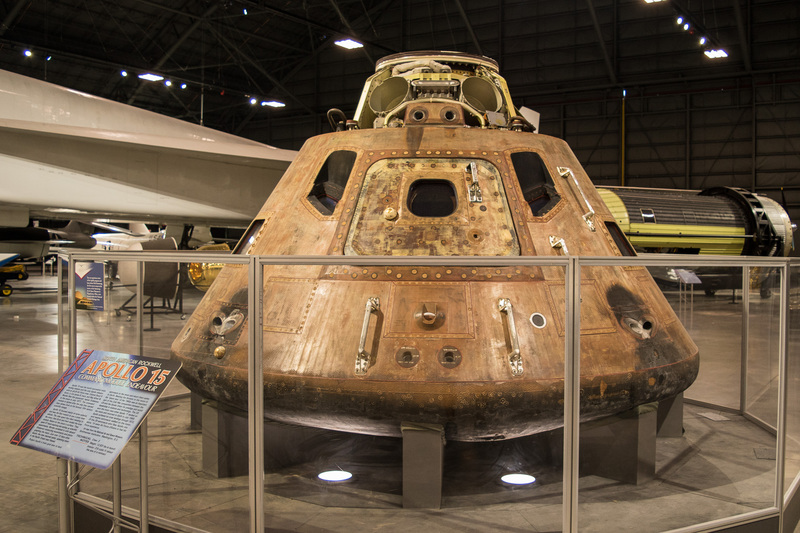 It also displayed the Apollo 15 Command Module, and a Space Shuttle Trainer. Steve spent two hours inside (basically “running” through to see everything) and loved it. He has already determined that he wants to go back with my dad (retired Air Force) for a guy’s weekend. Mom – we have to make this happen! After our visit to the museum, we headed to Findley State Park and made camp. 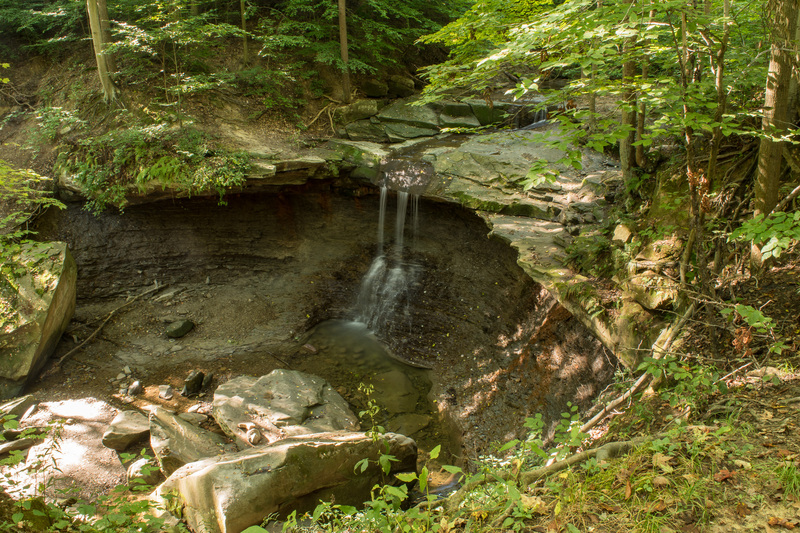 The next day, we made the hour drive north to Cuyahoga Valley National Park. 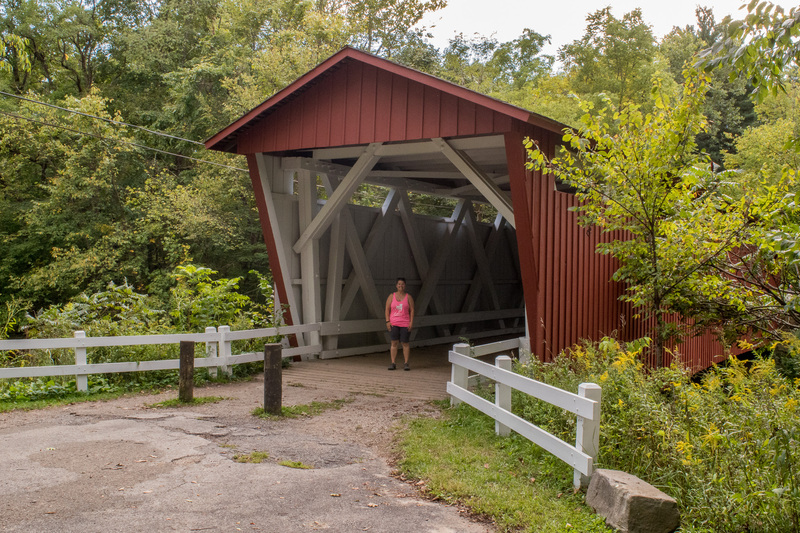 Cuyahoga Valley was designated a National Recreation Area in 1974, and became a National Park in 2000. “Ka-ih-ogh-ha”, Native Americans called it – “Crooked”. This park preserves 33,000 acres along 22 miles of the crooked river between Cleveland and Akron. This river, though small, has important cultural and historical importance. Native Americans deemed this area as neutral to all tribes, as it was vital to safe travel from the Great Lakes down the Ohio River, to warmer waters in the South. Once explorers arrived in the 1600s, traders and settlers moved in and took advantage of the river’s source of livelihood. 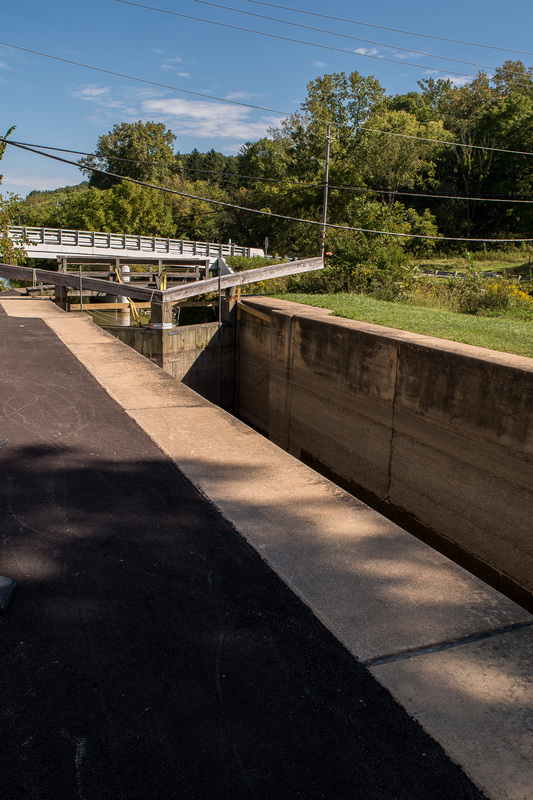 In 1827, the Ohio & Erie Canal opened between Cleveland and Akron parallel to and partly watered by the river. It helped launch Midwest commercial development, creating a job boom along the canal and in the cities of Cleveland and Akron. By 1860’s the railroads became relevant for commercial success and led to the end of the canal. Throughout the park you will find businesses, farms, barns and houses of the 1800’s. It is like stepping back in time. 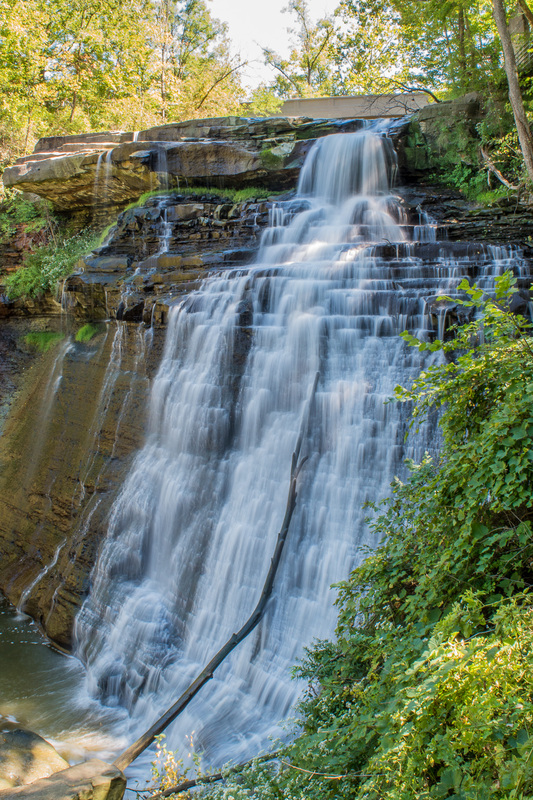 There is much to do in Cuyahoga Valley. We drove around, saw an old canal lock (in the process of being restored), checked out the museum and decided to spend most of the day hiking. 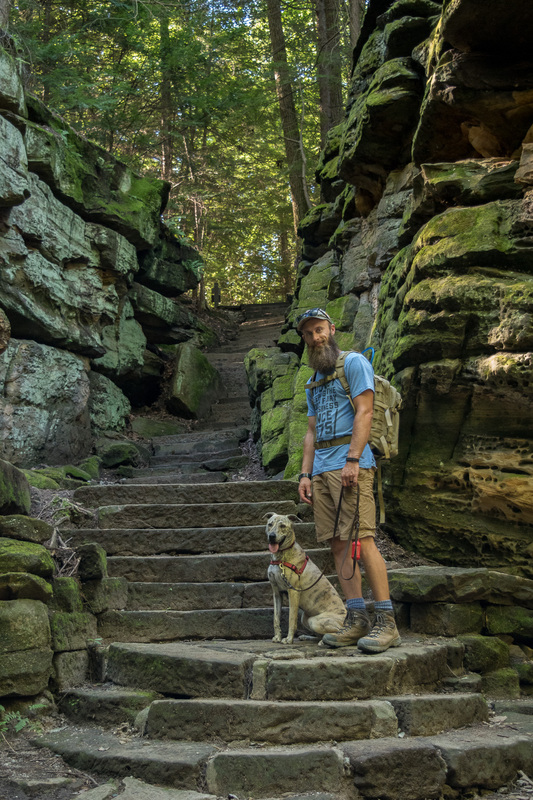 Cuyahoga is special to us – it allows dogs on ALL trails. Yes – all trails! We spent the day hiking with Sparky – one of our favorite activities. While you visit here, you can also take a ride in the historic train, see a concert in the summer; watch a play by local Kent State University theatre, and bike till your heart’s desire along the Ohio & Erie Canal Towpath or the many other trails. Our first hike was a visit to Blue Hen Falls. Now, the “hike” was only half a mile, and the “falls”… well… were rather light. Our second hike was to Bridal Veil Falls, which was about a mile, and slightly more impressive. 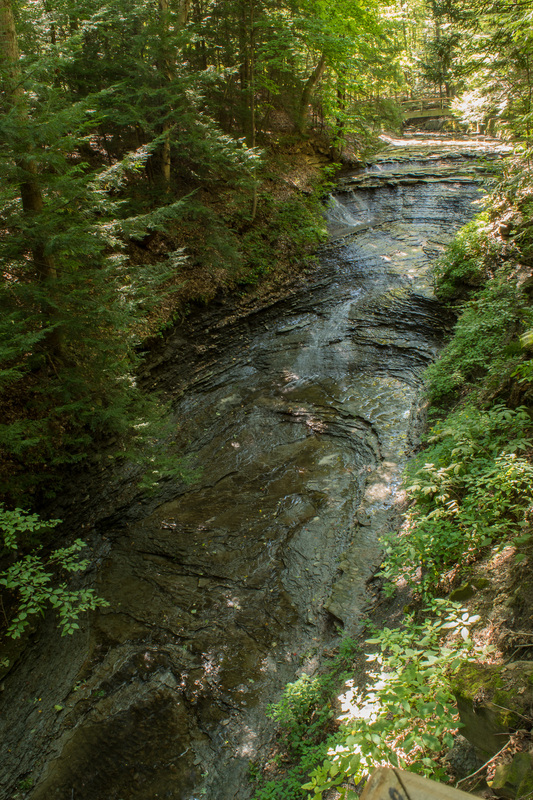 After a picnic lunch, we decided to try our third and final waterfall – Brandywine Falls – it was spectacular. We also completed the 1.3 mile loop around the surround area, and pretty much had the trail to ourselves. It could be because it was 90 degrees and humid! We were on the prowl for Coyotes! We didn’t spot any, but instead saw plenty of chipmunks. We decided we had time for one last hike, and chose the “Ledges” hike. This hike was just over 3 miles but the time we got to and from the car. It takes you around the ledge of an interesting rock formation. We were delighted to see a pair of Bald Eagles during this hike. We also walked by a cave that was permanently closed due to bats being exposed to white-nose syndrome. Once we finished our last hike, we deserved some car A/C and took the truck to visit a few more key spots of the park. We went to the Everett Covered Bridge – which is not the original, but reconstructed. We also walked along the Towpath to visit the Beaver Marsh area. We were not lucky enough to spot a beaver. Overall, we enjoyed our time at Cuyahoga Valley. It was interesting to be at a National Park, that you can hear cars, and interstates, but it also made it uniquely special. It was a glimpse into the beauty of nature, and the wonder of human engineering. Definitely the most “urban” of all the National Parks we have visited. If we lived in Cleveland, we would probably be a regular hiker at this park – oh, and did I mention it is free? Bonus! 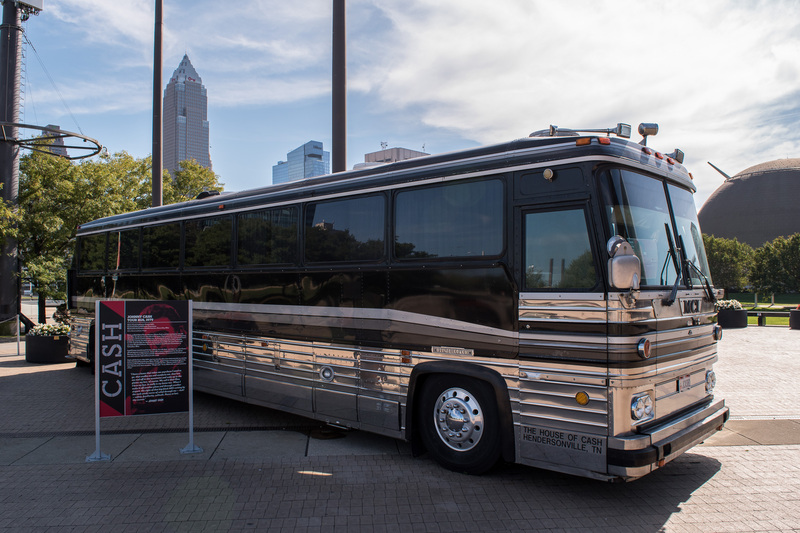 Wednesday morning we headed to Cleveland – home of Rock & Roll! We dropped Sparky for a day of fun & puppies at MetroBark. He had a great time and made lots of friends. 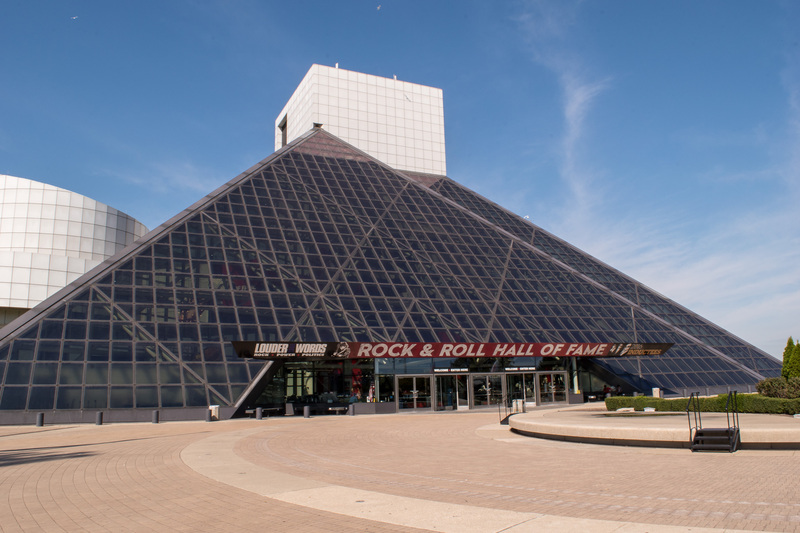 We were pretty amazed at how big the Rock & Roll Hall of Fame is. 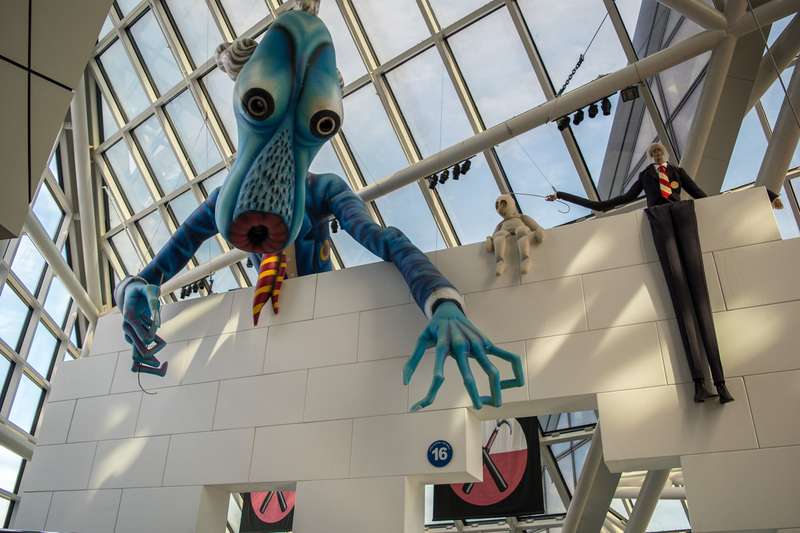 It is six floors of Rock & Roll artifacts, hands on exhibits and multi-media displays. Steve and I have different opinions on music, for me, looking through personal notes, and items from John Lennon and Paul McCartney choked me up; while Steve stared at each of Jimi Hendrix’s guitar religiously. 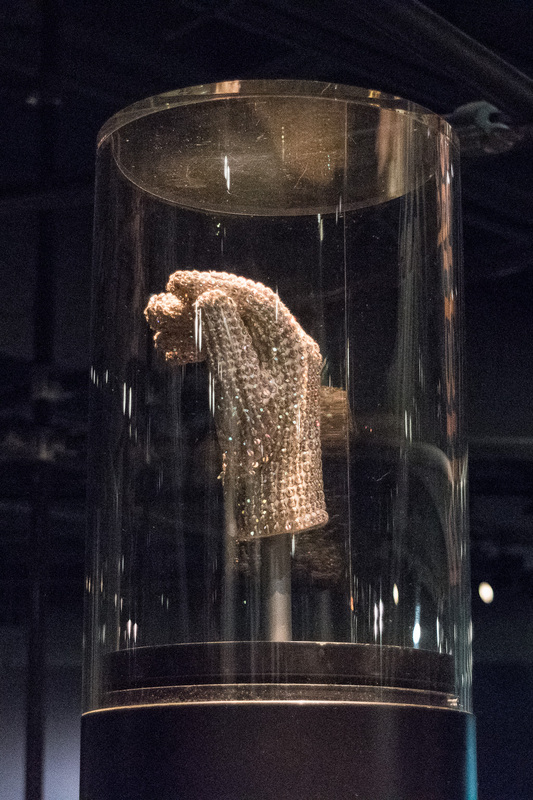 The Hall of Fame’s exhibits also include sections dedicated to Elvis, early pioneers of Rock & Roll, stage costumes of various artists – including Michael Jackson’s famous glove, Pink Floyd “The Wall” art, and more. 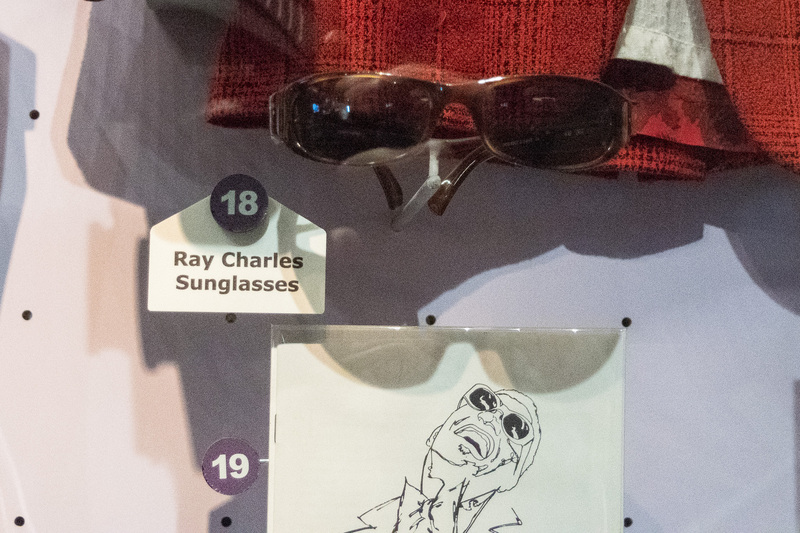 We highly enjoyed the exhibit about music’s influence over politics. We also got to tour Johnny Cash’s tour bus! We spent four hours here and felt that was plenty of time here, however, we can see how people can spend all day here. Our last stop in Ohio, on our way to New York, was James Garfield National Historic Site. The site is Garfield’s house, barn and museum. James Garfield was the 20th President for just a few months before a political fanatic, Charles Guiteau, shot him on July 2, 1881. Garfield died shortly after in September. His life is an intriguing one. Growing up in poverty, he worked as a canal boat tow boy in Ohio until he got malaria. His career included being a principal, minister, a Lieutenant Colonel during the Civil War, a member of the House of Representatives and a Congressman. What makes his presidency unique was his campaign. James Garfield did not actively seek nomination, and instead was nominated at the convention once all the other candidates were deadlocked. James Garfield conducted a “front porch” campaign, changing the styles of presidential campaigns onward. Prior most candidates remained in the background during elections, Garfield actively seek presidency. People from all walks of life and backgrounds, would travel by horse, buggy or train, to hear Garfield talk about the issues on his porch. 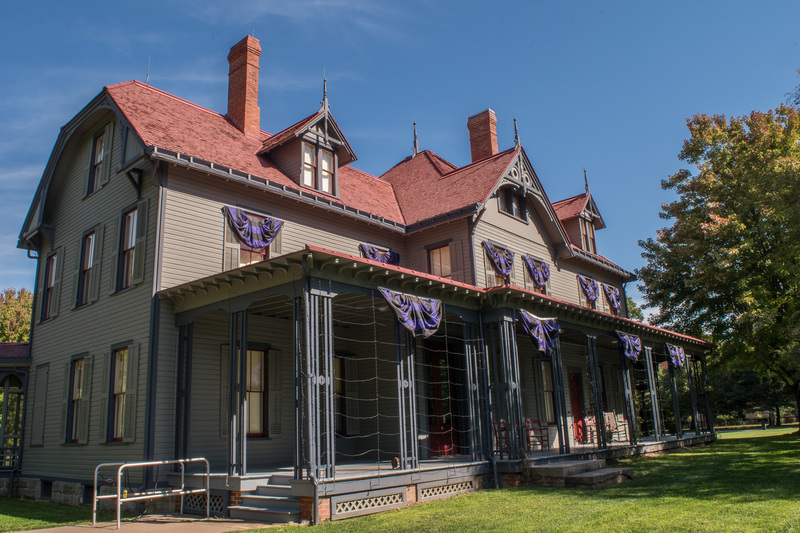 Garfield’s wife, Lucretia, soon after his death, added a wing to the house, to serve as a Presidential library, to protect her husband’s books, papers, and preserve his memory. This was the nation’s first Presidential library. At this site, you can do a garden audio tour using your cell phone. We found the tour to be informative about life on the farm, and the expansion of the library wing. We also spent time inside the visitor center (converted from the old horse barn). The visitor center is a museum of Garfield’s life, and his assignation. They also offer tours of the house and of the library, which we just missed when we arrived. If you are in Cleveland, this is just a short drive and worth it. You can also drive to nearby Lake View Cemetery to see where he is buried. 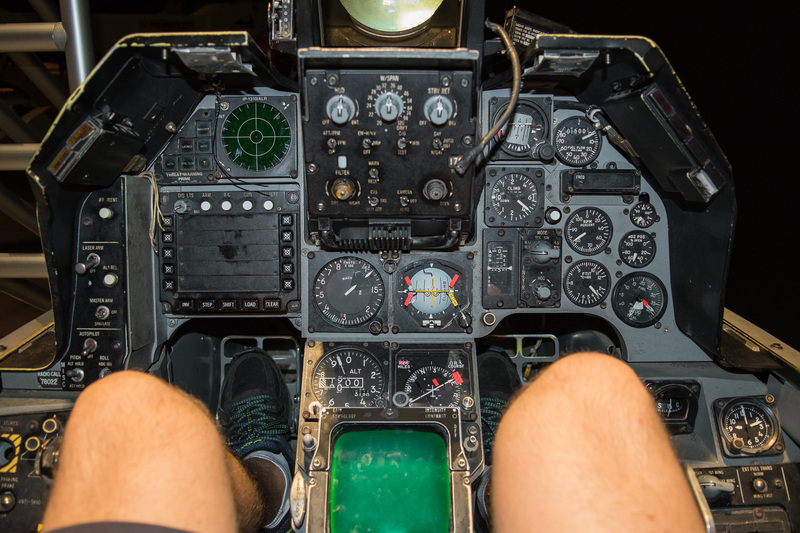 The next time we are in Ohio, Steve wants to do more at the National Museum of the Air Force. I see that trip in our future. 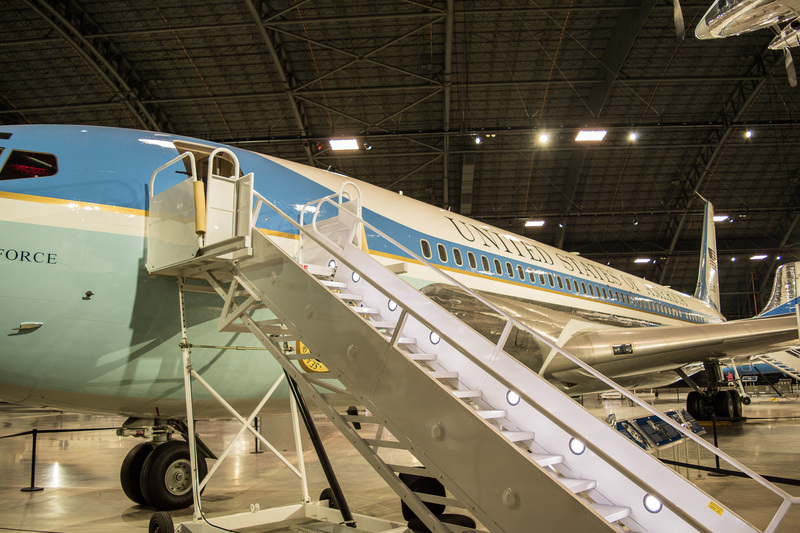 There is more to explore in Dayton Aviation history. We wouldn’t mind camping again at an Ohio State Park. Heading East! New York, here we come! There’s a lot of great birding in Ohio, too. Friendly,people and lots of interesting things to do. We really enjoyed our time there. Enjoyed reading about your travels there. PS. Did they have full hookups in the state parks? Some of the sites are, and they are expanding it. Both sites we booked had full hookup.